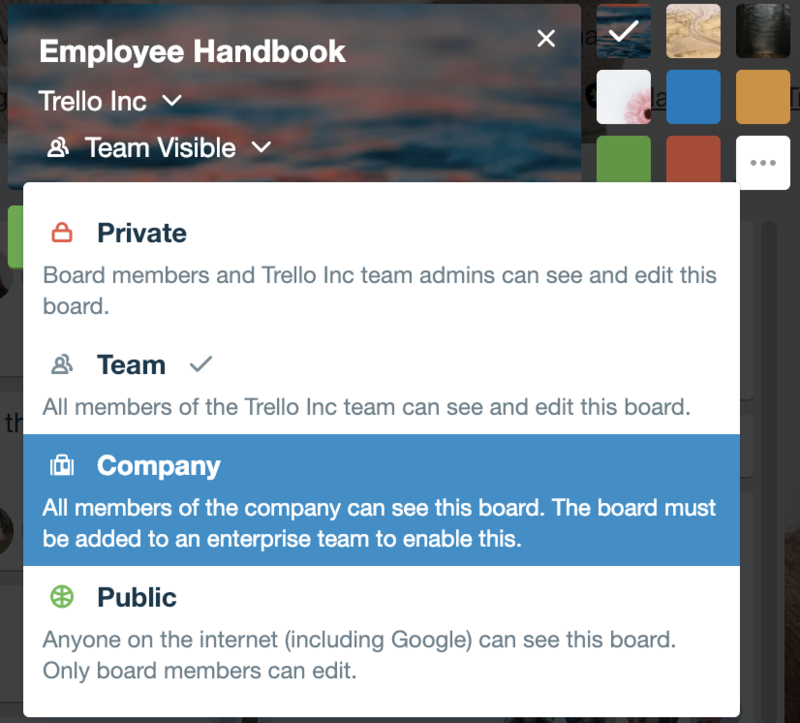 The Company Visible Boards Feature is a Trello Enterprise feature that introduces a new level of board visibility for Enterprise users. When a board is created or set as ‘Company Visible,’ it means that anyone who is a member of the Enterprise (on any team that is owned by the Enterprise) can view the board, regardless of the team the board is. The purpose of the company visible board feature is to allow for the creation of boards that can be visible to all members of the Enterprise rather than just the members of a certain team. The feature is designed to support customers with large footprints in Trello who may have a need for certain boards to be seen by everyone but also find that adding everyone in the company to one team to enable that today is inefficient and cumbersome. Some examples of boards that could be set as company visible are: 'OKR/Targets,' 'On-boarding,' 'Growth Plans and Other Templates,' 'Company Events,' 'Office Management,' etc. In its default state, any board admin within the Enterprise can create a company visible board or change the visibility of an existing board to make it company visible. 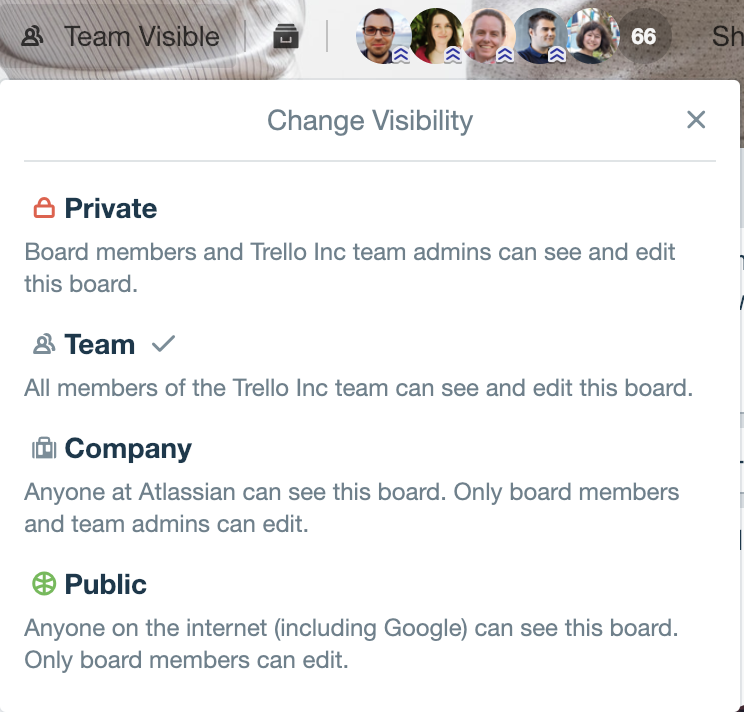 Boards with their visibility set to ‘Company Visible’ behave exactly like any other Trello board and are subject to the same Enterprise permissions as any other board, the only difference is the visibility setting dictating who can see the board. Enterprise admins can control who within the enterprise can create ‘Company Visible Boards’ via the ‘Team Settings’ page on their Enterprise Dashboard.